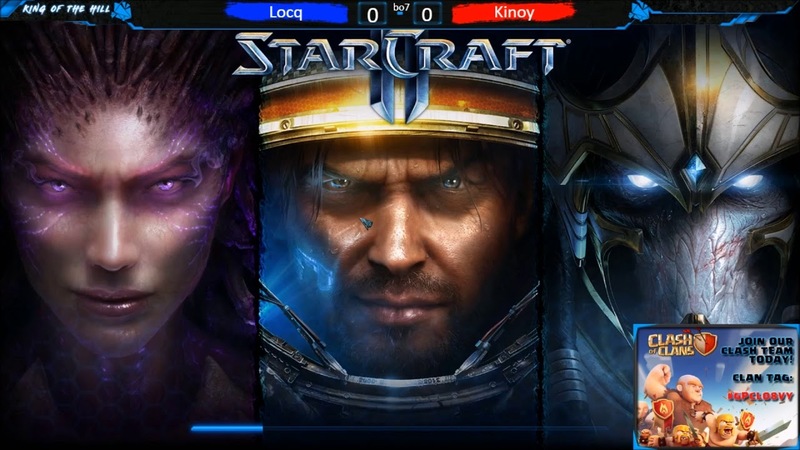 King of the Hill #1 "Kinoy vs Locq"
King of the Hill #1 kicks off with Kinoy taking on Locq in StarCraft II: Legacy of the Void! The series will feature many different RTS games which will force the King to be on their toes at all times. All matches will be best of 7 and promises to be a few hours of fun! This episode was commentated by CarNage64 & SacredMyths! Legacy of the Void's resource system was changed in order to encourage aggression, territorial control and to minimize a lack of action at the beginning of games. Changes include decreasing resource quantity and increasing the amount of workers spawned at the beginning of the game. Last edited by MissFortier; 06-04-2018, 02:03 AM. King of the Hill Results "Epyon vs Locq"
Epyon now defends his title against Locq175 who we've seen play originally against Kinoy back in the first episode. Today he is back to now challenge the new current king Epyon in StarCraft Brood War Remastered! Will Locq take the title now with his history of StarCraft 2 or will Epyon be the first King to defend his title? SacredMyths & CarNage64 are casting the match! Lzuruha is going back to it's roots! Lzuruha is finally getting back into the StarCraft scene! Meet the captain of the team and two of the latest members to join up with the squad! Continue reading below to get to know a little more about each of them now and be sure to tune in on youtube for the interview in the very near future on the Lzuruha main channel! Legacy of the Void Closed Beta Coming Soon! Award nominees will be announced on Tuesday, March 10, and award winners will be announced on Wednesday, March 18, right on Blizzard’s official community sites and on Blog.Twitch.tv. Blizzard recently put out a blog post on the current MMR system, the changes for the next season and what to expect when Legacy of the Void hits.